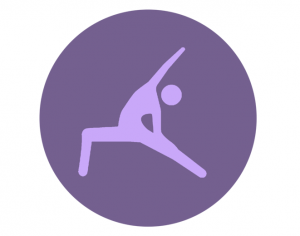 From April 2018 all Mamafit® Liverpool classes have added flexibility thanks to our new FLEX benefit; allowing you to ‘catch up’ at an alternate class if you are unable to attend your booked class. FLEX aims to help you MISS LESS and ENJOY MORE! The idea behind flex is to allow mums to attend as many booked classes as possible, as we know sometimes life gets in the way of the best laid plans; especially as a parent! 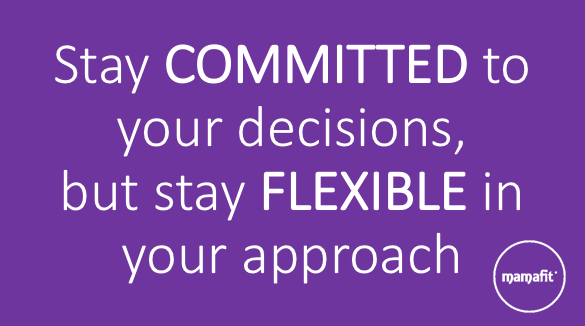 FLEX does exactly what it says on the tin, it provides you with more flexibility within your booking. When you book Mamafit® we want you to attend as many classes as you can; helping you to achieve maximum benefit from your efforts and enthusiasm! We know that sometimes missing a class is unavoidable as it may clash with a holiday, a scan, a health visitor appointment or your baby's injections! But we don't want you to miss a class because of this so we have introduced FLEX to allow you to 'catch up' at an alternate class if this happens. Mamafit® ALL, GO, HIIT & CIRCUITS Liverpool classes now have added FLEX. 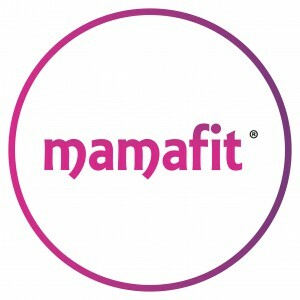 If when booking Mamafit® you notice there is a date clash, you no longer have to think "I'll just miss that week" or "Oh, i'll wait until next term to book" as you now have flexibility to attend an alternate class on another day or on another week, as long as it is within the same term period. All you need to do is let your Mamafit® Trainer know in advance of your booked class; this could be in person, via email or by leaving a comment at the time of booking stating which date/dates you will be utilising FLEX. If you book an 8 week term of Mamafit® CIRCUITS on Wednesdays at 11:15am but you have a holiday midway through the booking term, for example on week 5 of 8, you could choose to attend an extra class the week before you go, such as Mamafit® CIRCUITS on a Monday evening in addition to your normal class; meaning you would still receive 8 classes despite missing a week due to holiday. You can also 'catch up' at an alternate class if you are unable to make the equivalent class or there is no equivalent class available. For example if you book Mamafit® GO on a Monday and your baby has a doctors appointment at the same time on one of the weeks you could choose to attend Mamafit® HIIT on a Tuesday morning instead that week. You must attend your booked class where possible. You must inform your Mamafit® Trainer at least 2 hours in advance of your booked class start time if you are unable to attend and wish to attend a ‘catch up’ class. 'Catch up' classes cannot be claimed retrospectively. If your chosen ‘catch up’ class is fully booked ‘catch up’ spaces may not be available. ‘Catch up’ classes cannot be rolled over into the next term, any ‘catch up’ classes not used before the end of your booked term will be lost. FLEX cannot be used to transfer classes because of weather. ‘Catch up’ class must be suitable for you; i.e recommended for pregnancy if pregnant or suitable for your stage of postnatal recovery. Reasonable ‘catch up’ class usage only. Please book the class you intend to attend. We have lots of classes available for pregnant women & mums of all fitness levels and have added some NEW TICKET OPTIONS allowing you to book longer terms and SAVE MORE MONEY! 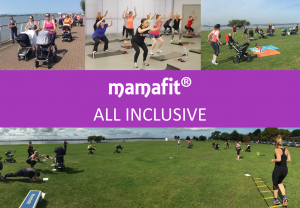 Our most flexible ticket is our ALL INCLUSIVE PASS which gives you unlimited access to ALL Mamafit® classes during the term period. Mamafit® ALL INCLUSIVE passes are available in 6 and 12 week terms and offer the greatest value for money. A 6 week pass costs £65.00, while a 12 week pass costs £120.00 giving you access to 10 classes per week; just £1.00 per class!